You can find below all the answers cheats and solutions for this amazing game by Bitmango Called Word Cookies. In this site you can find below all the answers cheats and solutions for this amazing game by Bitmango Called Word Cookies. This company has created many famous trivia games for android and ios like Roll The Ball, Fruits Mania, Words Crush: Hidden Words etc. On this site you will find all the answers for every level of this game. The answers are divided by category so it will be easy for you to navigate at the specific level you are stuck and find the answer. How to play Word Cookies? 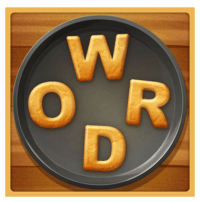 The main objective of this game is to find the hidden words that can be formed with the given letters. You can discover different words by swiping your fingers over the given letters. Words can be diagonal,vertical,horizontal and backwards. The found words will get highlighted on the word list.